Read details on products and the link for more info on oil rinsing below! 1. 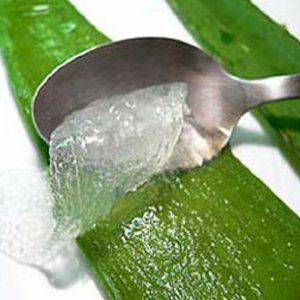 Aloe Vera is made up of mostly water (I actually like to call it Water 2.0), which evaporates as your hair dries. 2. Aloe Vera does not coat the hair like an oil/butter does to form a barrier between your hair and moisture in the air (However, note – the Aubrey Organics AV does contain vitamin E). Now, that being said, do I think that aloe vera is worthless on our hair? HECK NO! Because of its acidic pH, aloe vera can help “seal” your strands as in smoothing your cuticle, and also provides nourishment and moisture to your hair (which is why it cuts down on frizz). For my regimen, this would make aloe vera fall under the “finishing” step rather than actual sealing (when I put oil on my ends to reduce friction between my hair and clothes). As an alternative, I also added some aloe vera to my oil mix and used that to fluff/refresh my hair in the mornings. Now, will I add aloe vera to my regimen permanently? Well, it sorta already is! Although I do not always use pure aloe vera juice, several of my staple products have an aloe vera base (UFD, AV gel, Cush Curl Extender, etc) or have AV very high on the list, as in the second or third ingredient (Curl Junkie Beauticurls Argan & Olive, ReVe Moisturizer, etc). Basically, it’s usually lurking around in there somewhere. Although, I can’t lie, I am a little disappointed that my main HG finishers, Curl Junkie Curls in a Bottle and Knotty Girl Leave-In, are both missing this stellar little ingredient. I may mix them with AV, but I’m a little scared to mess up the formula. We’ll see.